Now, this is called the art of presenting an old wine in a new bottle, Fiat has done it brilliantly this time too. They have recently announced the new Fiat Punto Sport 2013 model and for those who are still not aware about the news and must be wondering why the same car once again, the news is quite refreshing, this is indeed an old vehicle, the same Punto of yesteryears but this time, it has been retouched to more perfection. The look is refreshingly awesome as the hatchback is yet again flaunting the brilliance of Italian design. The car for the year 2013 has arrived on the scene here. Fiat Punto price has been kept unchanged from the current version and it's base model starts from INR 5.04 Lakh which goes as high as INR 7.38 Lakh for the top model. The Italian auto-maker announced it to bring in a couple of months ago keeping the dipping sale volumes a facelift version was always a perfect options to get out of this situation. 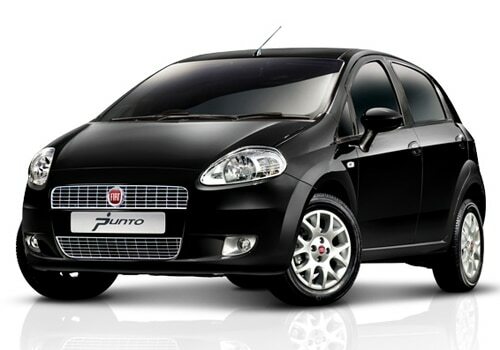 Fiat Punto Specs a trendy colour code, the black coloured roof, contrast coloured side view mirrors and a dual toned interiors are all exclusive giving it a more sporty feel. Living truly by the name, it is a sporty car with a powerful 1.3 litre engine, delivering 90 bhp of power through a maximum torque of 197 nm at 1750 rpm. First launched in India around in 2008, this went on to become a hot favourite among the youth and a lot of credit for this goes to the exquisite design and glamorous looks. This is a work of World's most famous Italian designer. But the looks can only get you an attention and what matters the most on a long run is the machinery and power packed performance which it has amply delivered every time. This is what the Fiat cars are well known for. The car is currently available in both a diesel and a petrol engine options and the transmission is mainly manual and perhaps there is no choice for a automatic transmission. The 1248 cc engine fitted in diesel variants delivers a good amount of power coupled with an amazing mileage of 20 kilo-meter in a litre. The petrol version lags behind both in capacity and mileage with just 1172 cc and 15 kmpl respectively. This is a five seater vehicle suitable for long drive through the highways without bothering much about the fuel in the tank, the tank can hold up to a maximum of 45 litres of fuel. The Italian beauty is even better on interiors as the Fiat Punto pictures of its cabin makes a clear cut impression on mind. Its a car with a mood, a happy one for most of the time. Seating into it is a comfortable experience and driving one through the streets or highways it a pleasure. When it comes to features, it has the best in class accessories which includes an all at one place control dashboard, a music system with AUX in and bluetooth support, a cushioned seats and a flexible suspensions to avoid the jerk even on bumpy rides and Fiat India has just started promoting their new innovative and stylish 2013 versions of Fiat grand Punto sports car and it's feels more ecstatic.